The NHSA "Solutions Debate" is a whole new concept in debating that works to bring together the unique "out-of-the-box" minds of homeschoolers across the nation to cooperatively solve one of the problems facing the world at this time and then find a way to actually implement that solution. Terra Scholars, age 13 and up, will be encouraged to participate and utilize their research skills. Skills including: critical thinking and analysis abilities; organization skills; brainstorming techniques; ability to structure arguments; format presentations; communicate effectively; question everything; and find answers using multiple information sources. The Solutions Debate program runs from October 15th to May 15th of each school year and the solution to the selected problem will be unveiled during the NHSA Expo and Virtual Expo. Thereafter, the NHSA expects to help facilitate the raising of funds necessary to begin the actual implementation of the designated solution. This will be done so that all of the participants can see real tangible results from their efforts. Participants will also be encouraged to stay involved with the project and watch it grow and develop over the coming years. The problem for which a resolution is being sought will be announced on October 10th of each year. Below you will find a link to download a PDF file with complete details of how the program works. Technically students can get involved at any stage of the program but everyone, who is interested in participating in the program, is encouraged to sign-up before Ocotber 15th. 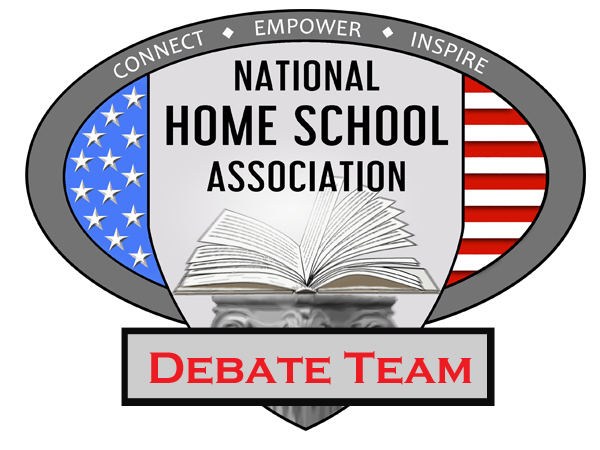 With regards to future years debate topics, anyone who has any suggestions, for what the most pressing problems are that need to be solved, are welcome to submit them to Debate@NationalHomeSchoolAssociation.com.